Clinique is my jam. I would say that 90% of my makeup and skin care is from Clinique. I have used Clinique since high school, and as the saying goes, if ain't broke don't fix it! And going on right now at Nordstroms they have their gift with purchase, and it's a really great one! Totally worth a $32.00 purchase!!! 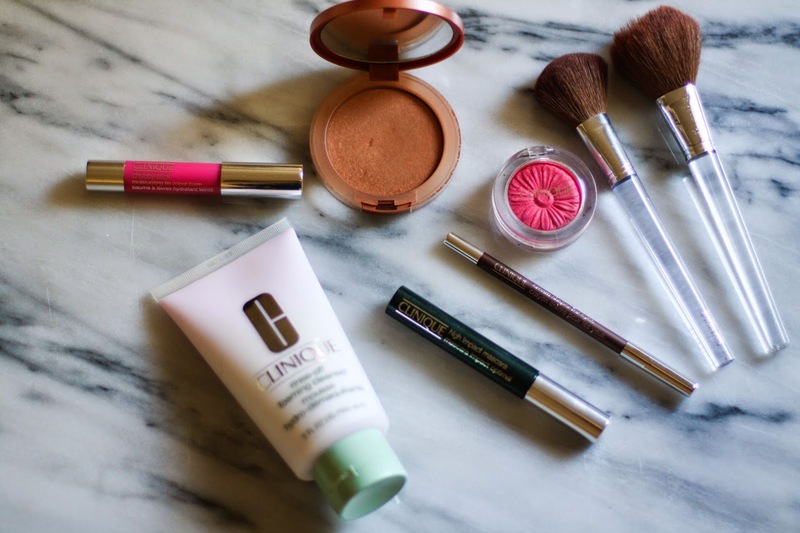 Here are some things from Clinique that I couldn't live without and that I use on a daily basis! I went Lilly shopping on Wednesday! I found so many things that I loved that I had a hard time deciding between this skirt and top or this dress!! In the end the dress won, I could just see myself throwing it on a lot more during the hot summer!! The new cut of her T-shirt dresses are so awesome, and so flattering!!! Like, this one, this one, and this one!!!! I love this picture of Taylor and I so much. She usually never gives me kisses when I ask beg, but on this day I guess she was feeling especially sweet!! The romper I am wearing in this picture is only $55.00, and best part, it feels like pajamas! I revived my first box from Yumvelope last week and so far I am loving it!! I have the hardest time when it comes to eating a healthy snack. I usually just reach for the kids Goldfish or cookies, so I am hoping this will keep me on track a little more. 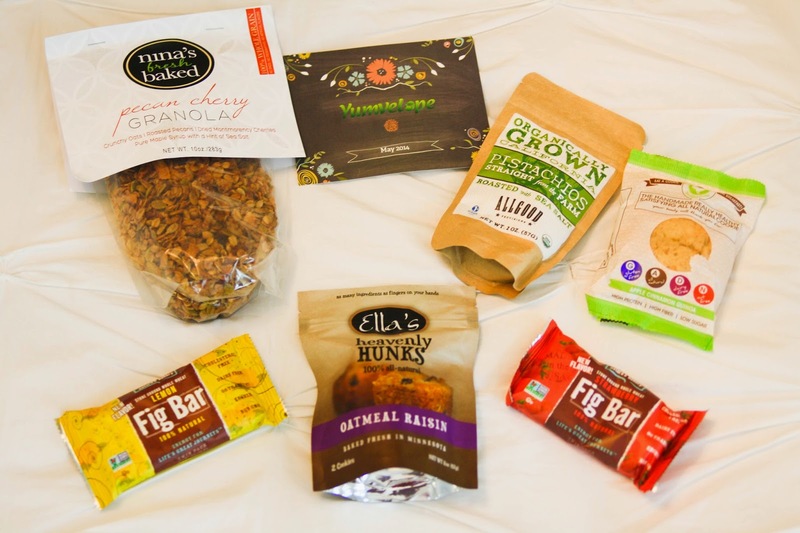 Plus, it' so fun to be surprised with yummy healthy treats in the mail! My favorite so far is the strawberry fig bar! I saw this kitchen last week on Pinterest and I think it's the most beautiful kitchen ever!! I am definitely saving it to my dream kitchen file! My mom always (and still does) used Clinique when I was growing up, so I have always been a fan of their products, as well. I LOVE the moisture surge moisturizer and just bought a new one two weeks ago. Sad I missed out on the free gift! You are some kind of tiny in your pictures!! Way to go with the working out and eating healthy. I love reading your blog every day! I grew up wearing Clinique and I think I need to go back and test them out again...I need some freebies, too!! Have a great weekend! I love your blog! my grammy has been a clinique fan forevvvvver. and the woman looks great for her age. i use a lot of their products too. I used to use Clinique in High School too, not sure why I stopped... I should give them a try too. I need a good cleanser - do you use that foaming cleanser for day and night? Is that the only face wash you use? All the snacks you got from yumvelope look tasty! My best strategy for snacks now that there's more produce in the stores is to just grab one of my favorite fruit. Almost nothing is tastier than fresh berries! I used clinique in high school too..maybe it's time to revisit it! And I love that dress on you! I think this is Lilly's best spring and summer ever! Both outfits looked great on you! Love that you got to capture that sweet kiss on camera! Your outfits are beautiful. 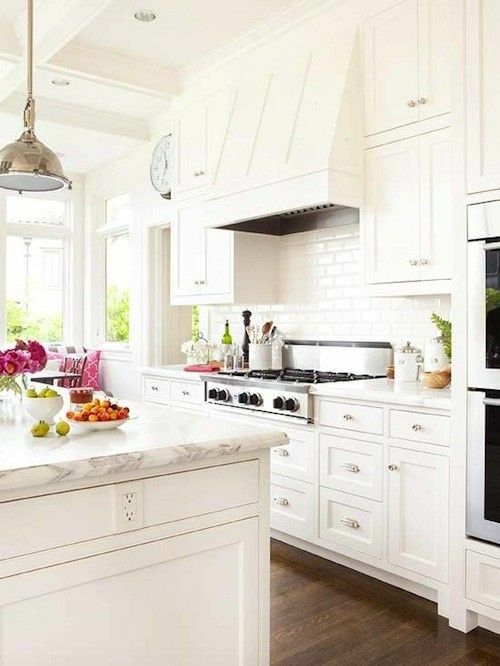 Love that kitchen too...so bright and clean! Love that Lily dress. They sell those fig bars at Costco! Yay for Lilly shopping, and I looveeee that romper!! Do you mind saying what size you are wearing in the Lilly Dress? I'm thinking about ordering one online because i don't have a store near me and having a hard time deciding what size! I'm usually a 4 in most dresses (small up top). Btw LOVE your blog. Been following for a couple of months now and read every single post. Thanks!